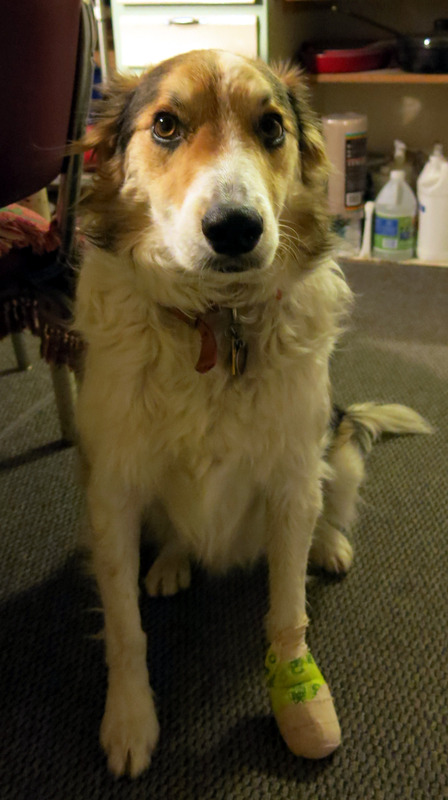 Greetings and salutations, everyone; yes, once again it is I, Mani the slightly huge purebred border collie, filling in for the guy I live with, and here to bring you up to date on what’s been happening in our garden, and elsewhere, too. You may remember me from such posts as “Not Quite Like Me”, among so many, many others. Here I am in a characteristic pose. I bet you wish you had retractable ears like I do. A few days have passed since my last post. The reason I know this is that things have happened. There was a day when we went for our evening walk (which is really in the afternoon, but “evening walk” sounds nicer, doesn’t it?) and it started to snow a little. 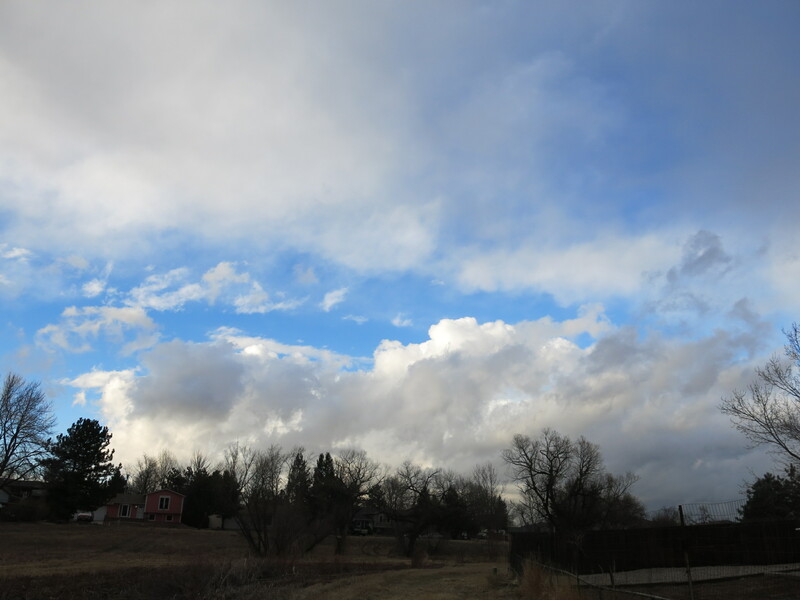 The sky looked like this, but it was still snowing, because it was darker to the southwest. On the evening walk we go down to where the path, which is really a coyote path, stops, or at least stops for us, because the “open space” stops, and there’s a fence beyond that. 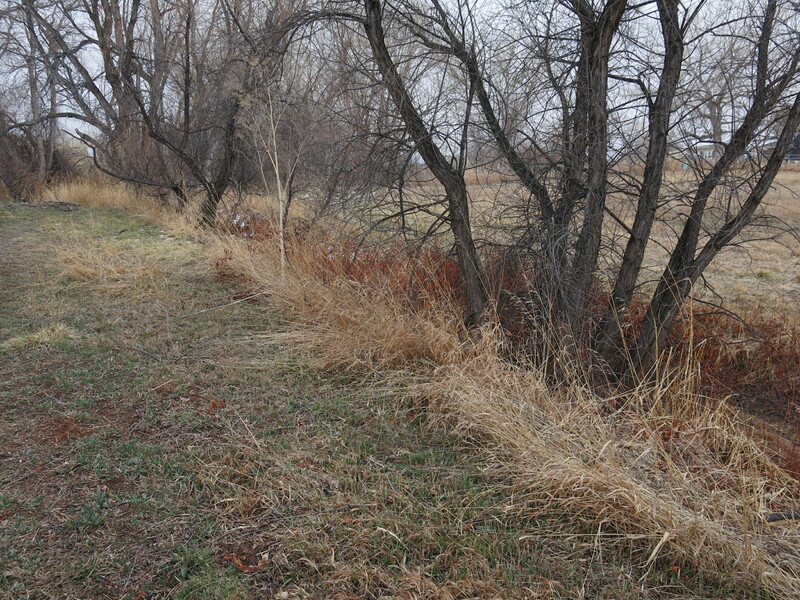 The willows are kind of scary where the path stops. That’s the creek, right there. The fence post you see on the left is the corner of someone’s back yard. 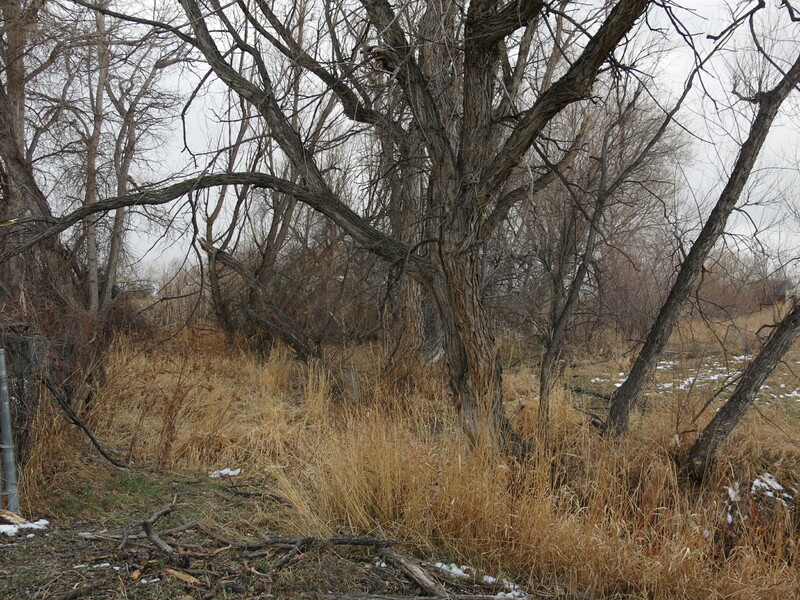 The guy I live with says the coyotes, Norm and Celeste, keep going, and that their den is quite a ways away from here. My house is, too, but in the opposite direction. The coyotes have a den; I have two snug forts, one in the kitchen, and one upstairs in the bedroom. 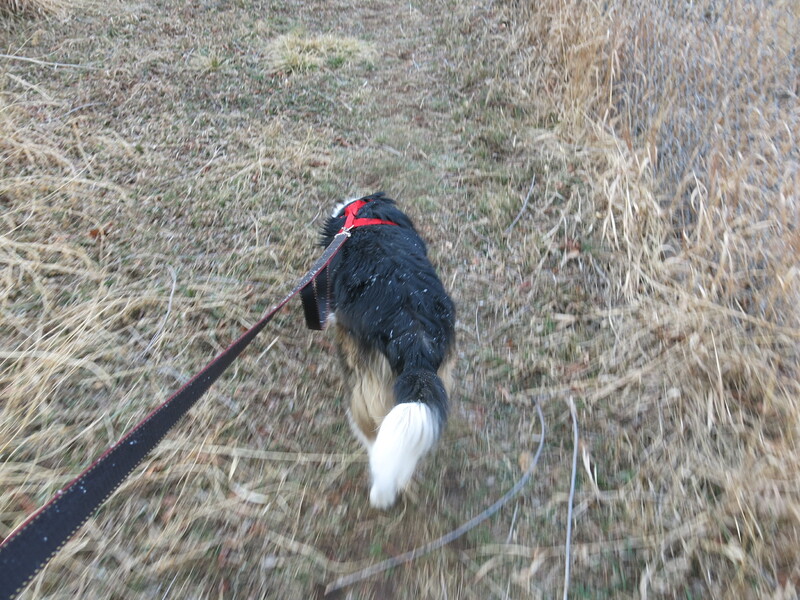 You can see some snowflakes on me, as I was headed back to my house. So that was interesting. Then, maybe the next day, or the day after that, I had a slight accident, and broke a toenail. I look pretty sad and pathetic here, don’t I? I guess it’s true that I get very good care. The guy I live with also said that I might be putting on weight, which is why I said “slightly huge” right at the beginning, though of course it’s really just my winter coat. I’m outside a lot, and need a winter coat, you know. Then there was a day when the guy I live with went back to the place where he worked, for a friend’s retirement party. 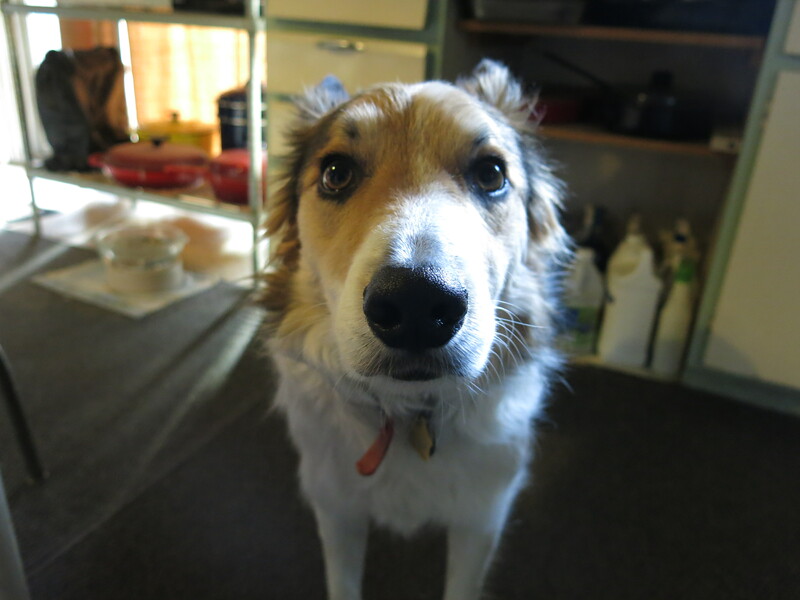 I had to stay home, because they don’t allow purebred border collies in the building, which is pretty ridiculous, if you ask me. The guy I live with came back and said that seeing people he hadn’t seen in ten years was a very emotional experience, because ten years ago his wife was still alive, and he used to have dreams in which he would wake up, and she would be there, and all the terrible things that happened after she died were just a dream. He even cried. But he did have to get back to me to make sure I was okay. Which I was. Then later that same day his friend came over for dinner and I got to jump up on her and stuff like that. Then I pulled the bandage off my foot; it was driving me crazy. 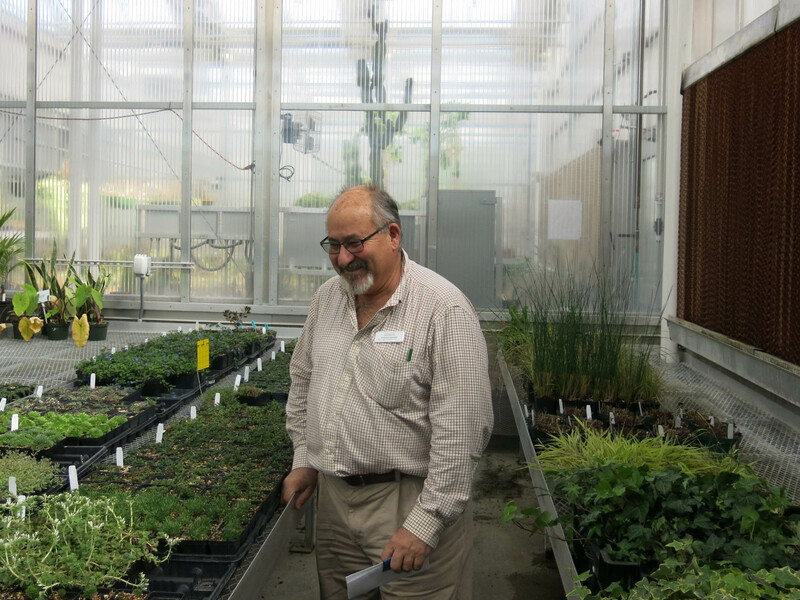 And then the next day I was left alone for kind of a long time, because the guy I live with had to deliver some cactus seedlings to Denver Botanic Gardens. I knew he was going with his friend and since I can tell how happy they are together I was okay with that. They went into the greenhouse to put the cactus seedlings there. I’ve met this guy. They walked around the gardens, some. Purebred border collies aren’t allowed there, either. I think there might be something wrong with the universe, where purebred border collies have to stay home and not do things like walk around botanic gardens. That’s just my opinion, of course. Here are some pictures, anyway. 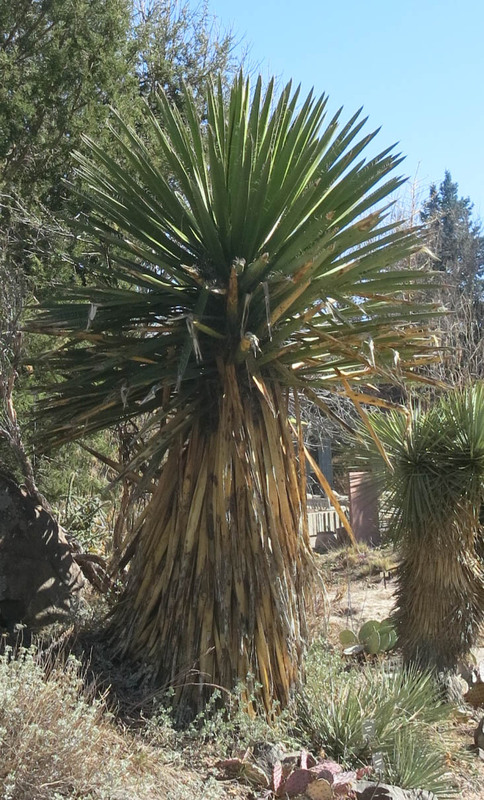 This is a big Yucca faxoniana. We have a smaller one in our front yard. 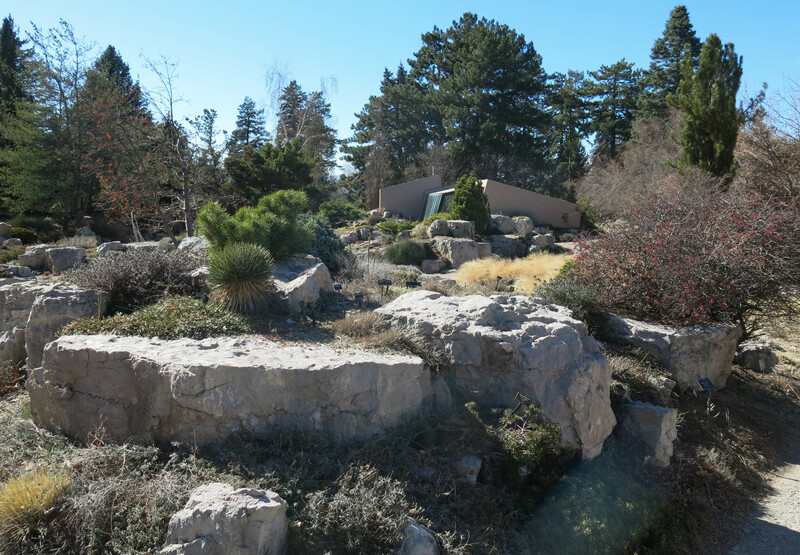 Here’s a view of the rock alpine garden. The guy I live with said he always liked to go there when he was feeling a bit down, because it’s so great. There were lots of things in flower, because there are, at this time of year. I mean, not a huge number of things, but enough to look at. 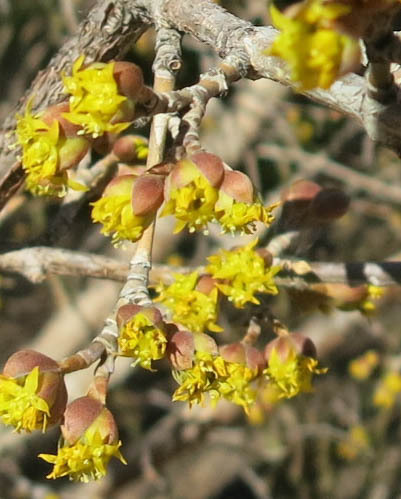 This is Cornus mas. There were bees everywhere on it. Today we worked in the garden, all day long. I really like it when the guy I live with works in the garden, though sometimes I just lie on the patio rug. There have always been rugs here, I think. The guy I live with says it might be time to wash this rug. You can see the darker one beneath it, which was purchased by mistake; it’s sort of plastic-y and gross, but the one I’m lying on is pretty plush for something out on the patio. 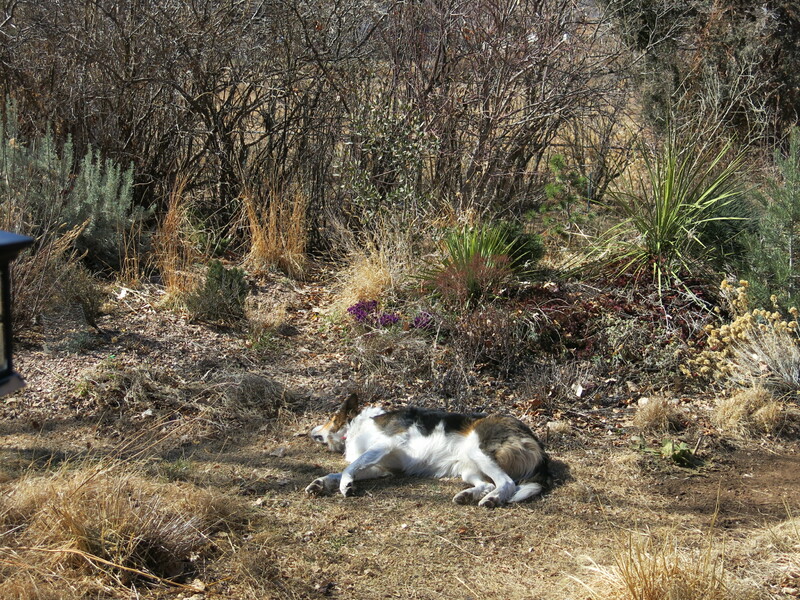 Sometimes I lie right next to the guy I live with when he works in the garden, which he likes, too. 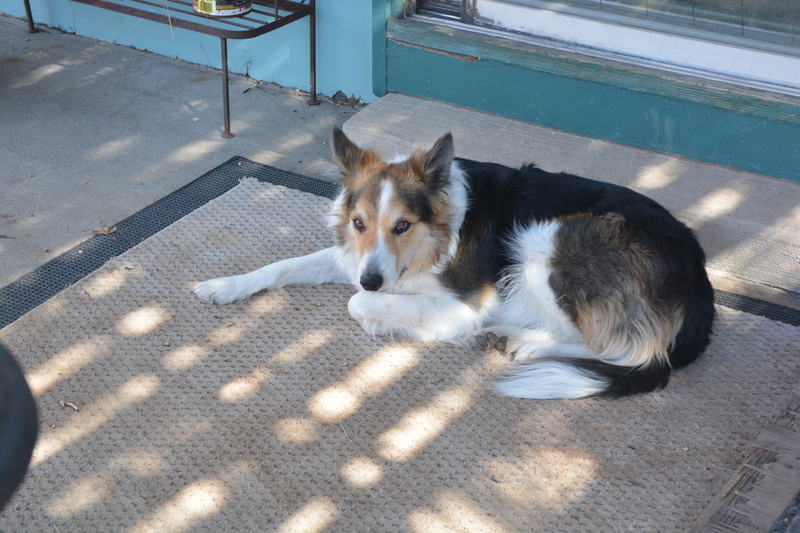 He told me that Chess, the purebred border collie who lived here before me, used to lie right next to the lady of the house when she worked in the garden, so there’s a kind of continuity there. Sometimes you need continuity, and sometimes you don’t. That’s what he said. I’ll show a couple of pictures of bulbs flowering right now. 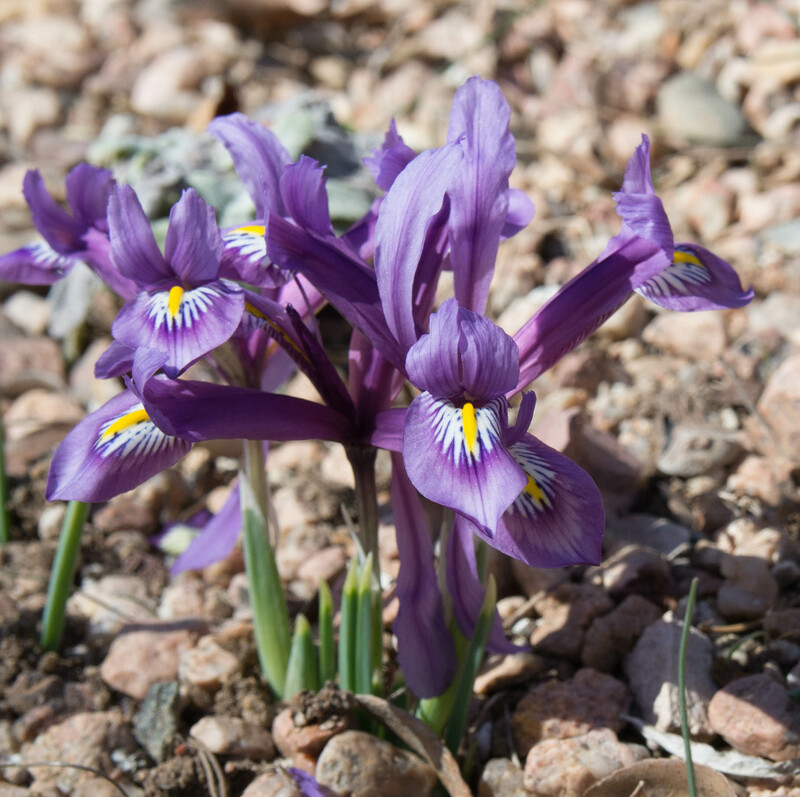 This is an Iris reticulata from Armenia. This is Iris histrioides ‘George’. There are bunches of snowdrops still flowering, and I would have posted some pictures, but for some reason I don’t have them here. So you’ll just have to imagine them, I guess. I think we’re completely up to date, now. It was such a nice day today that I spent some time actually helping out in the garden. My job here was holding down the grass; making sure it didn’t suddenly fly away, like it could have. It’s good to have a springy post. Much spring is needed at the beginning of mud season. Yes, springy stuff is rather nice. Though the guy I live with says the garden looks pretty messy now. Well, Mani, you’ve had a lot going on there. There’s been a bit of excitement here, too. A 15 week old standard poodle puppy came to live with me! Her name is Stella, and she loves being outside, so I am hoping she is as excellent a garden dog as you are. Being a garden dog is completely excellent. Puppies are excellent, too, as you know. Other tiny creatures are excellent too, Mani. 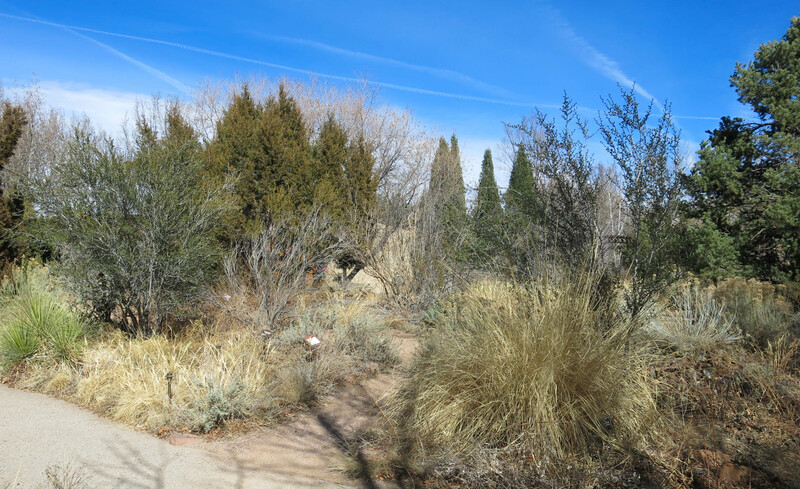 I like the Denver Bot Garden photos, especially Cornus mas, but the shot of the winter sky with snow is outstandingly gorgeous. 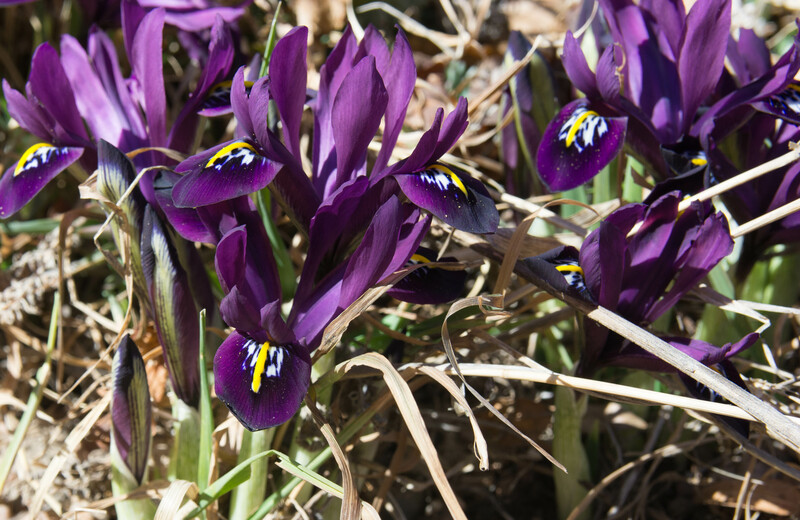 Of course, so is the in-our-face color purple of Iris reticulata from Armenia. Armenia, huh. You may be just the dog to advise what to look for in Slovenia in, say, early to mid June. Stick around, dear dog, I may closely question. I have met that Panayoti person, briefly, and found him a person of wit and sophistication who flings Latin nomenclature like nobody’s business. The Latin fling is a talent I lack, but I suspect the guy you live with could Latin fling with the grand Panayoti. We have last weekend experienced a reunion of our charter UC class, and my husband too was much moved. Me, not so much. We did visit Roger’s and Sherman gardens. That moved me, as did also the shot of a pretty sad and pathetic dog with broken toenail. You look all nobly suffering, and my heart goes out to you. Thanks; my toenail healed, but then I hurt it again today when we were gardening. There was some semi-major work done. It’s really windy and not at all warm today. Slovenia would be a good place to look for things. Snowdrops, Helleborus niger, all kinds of stuff. And parts are almost subtropical, by the Adriatic. The guy I live with had never been to a reunion before. He said it was nice, but that it was hard for him not to burst into tears. The passage of time, dogs, and people. Broken toenails and broken hearts…much pain to endure. It takes courage to deal with both and to risk going out again into the garden and also to risk attending a reunion. Thank God for warm, loving companions who take care of one another and for the sun and the stunningly beautiful flowers, and for home. Yes, there’s a lot to be said for all of that.